No I don’t mean the ones you get at a five year olds birthday party, I mean the bags that complete any outfit, whether you are going to the work office party or for Christmas dinner with your old school friends that you haven’t seen in years. If you want to stand out from the crowd, don’t just pull our your plain leather clutch or your boring chained suede bag. Mix it up with frills, embellishment, velvet, shapes and prints! High streets are jumping on board and are bringing out amazing bags at bargain prices! I will definitely be getting the embellished floral bag from asos as pictured below! 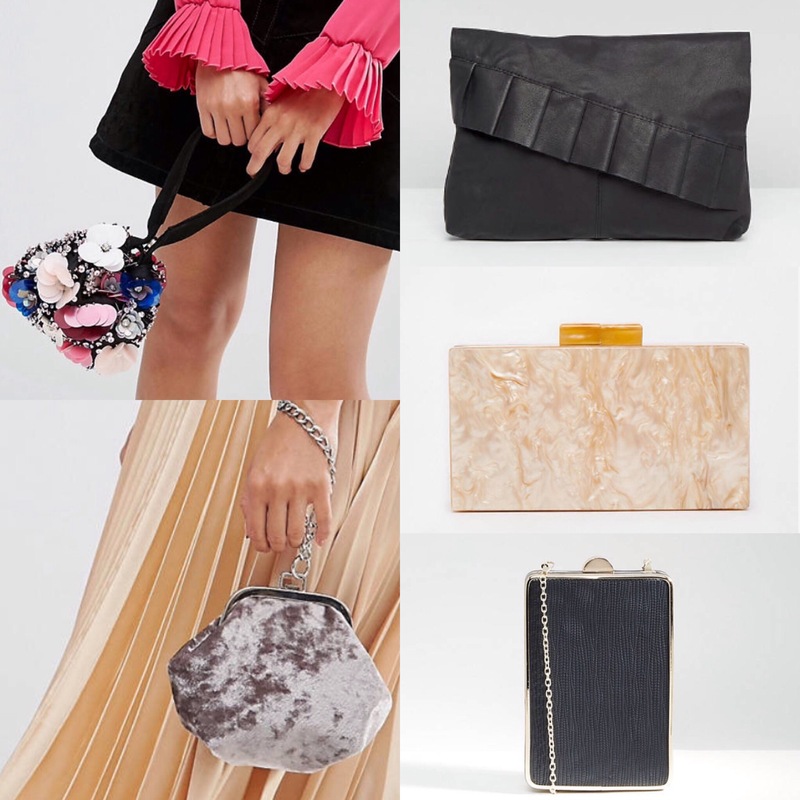 This entry was posted in Blog and tagged asos, bags, blogger, embellishment, embroidery, fashion, H&M, mango, missguided, missselfridge, pleats, riverisland, ruffles, topshop, trend, velvet, zara by gracegolding. Bookmark the permalink.